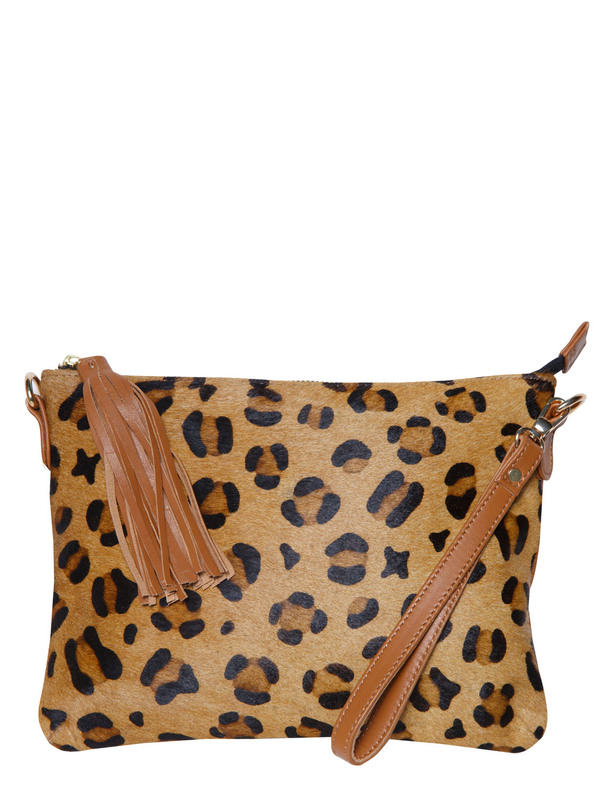 Cool yet sophisticated, the TriBeCa Pouch is synonymous with effortless New York style. 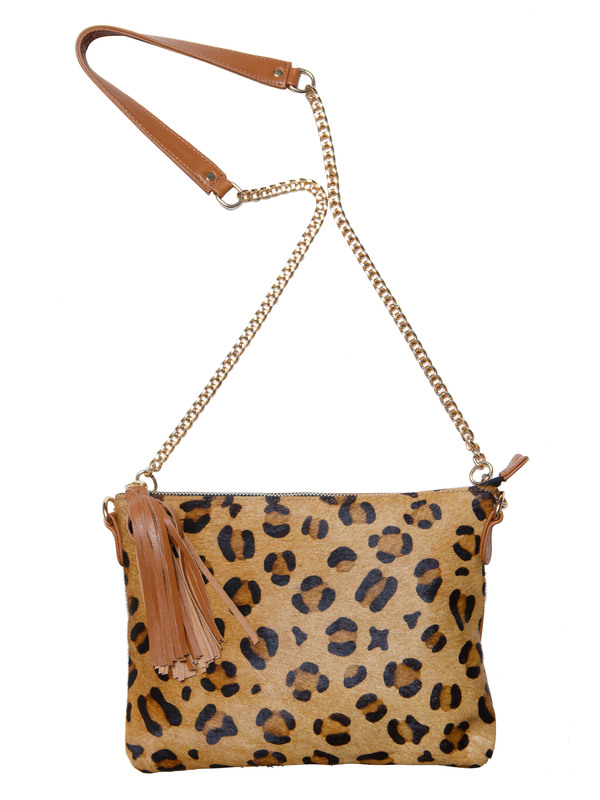 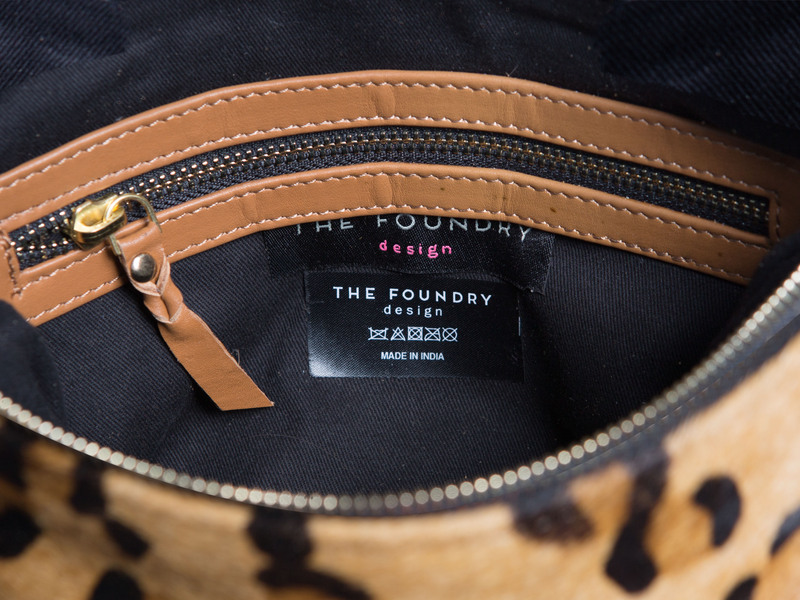 Our beloved TriBeCa returns in an of the moment leopard print cow hide front, with a soft tan leather reverse. 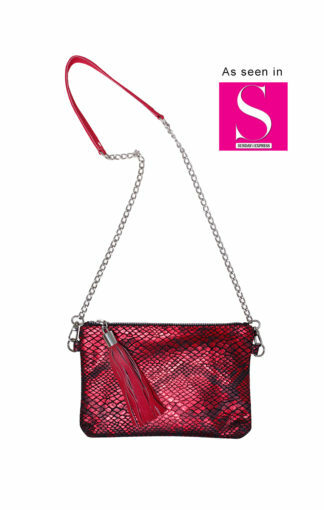 It is supplied with three interchangeable straps. 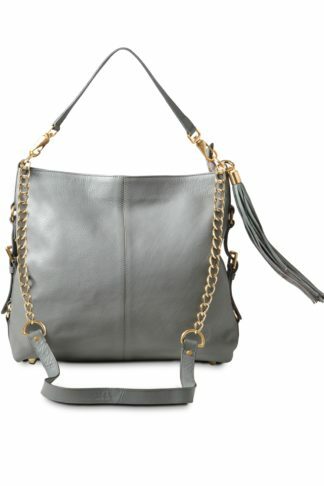 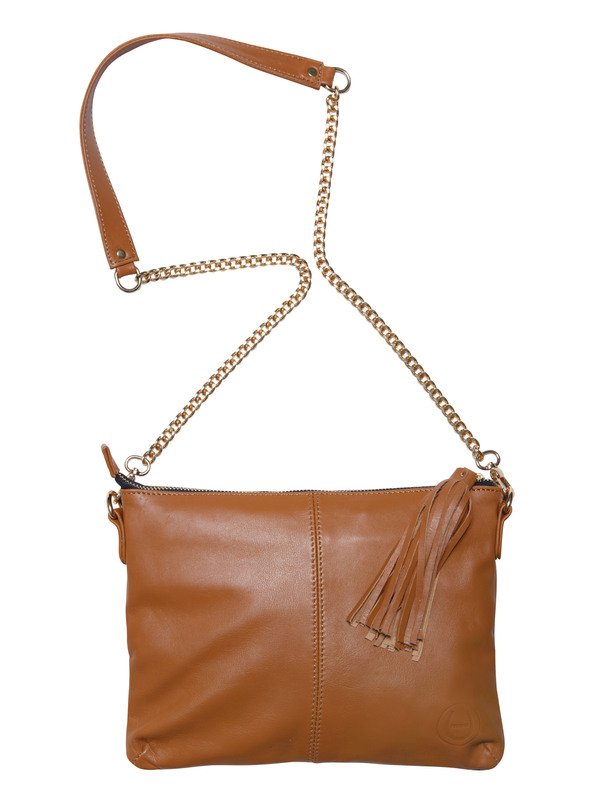 A part leather/ part gold-tone chain cross-body strap, a plain leather strap with adjustable buckle fitting, and a small leather wristlet strap. 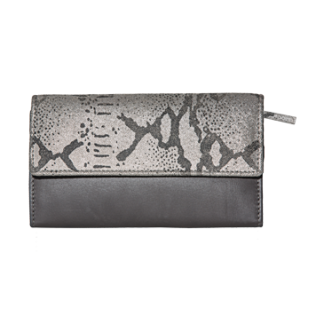 Featuring two leather lined internal pockets, one zipped for your cash and cards, and the other slip pocket is large enough to allow easy access to your tech. 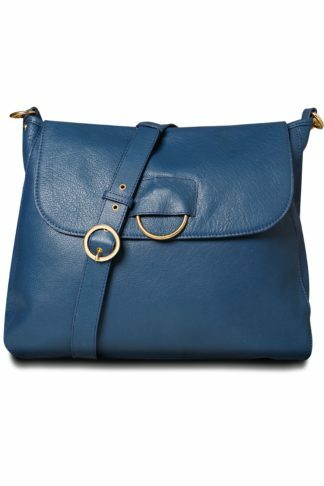 Opt for this easy to wear silhouette, large enough to store all your essentials in style.